Antique all original coaster wagon that reads on the side ‘Speedy Ball Bearing Coaster ‘ wagon. Wooden wagon with cast iron wheels. 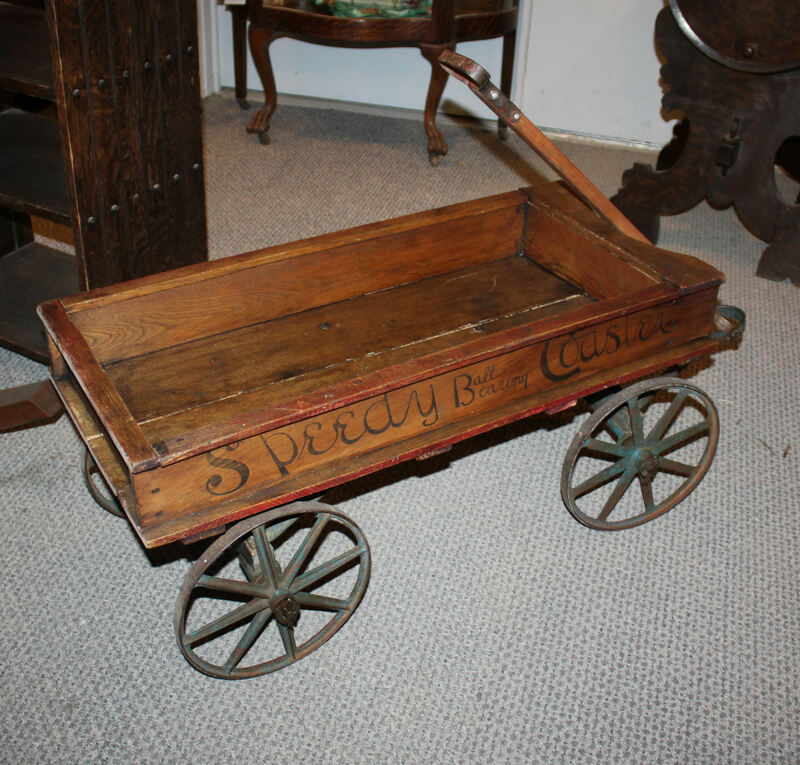 The wooden box on this wagon measures 32″ long by 14″ wide and the height is 16″ high.